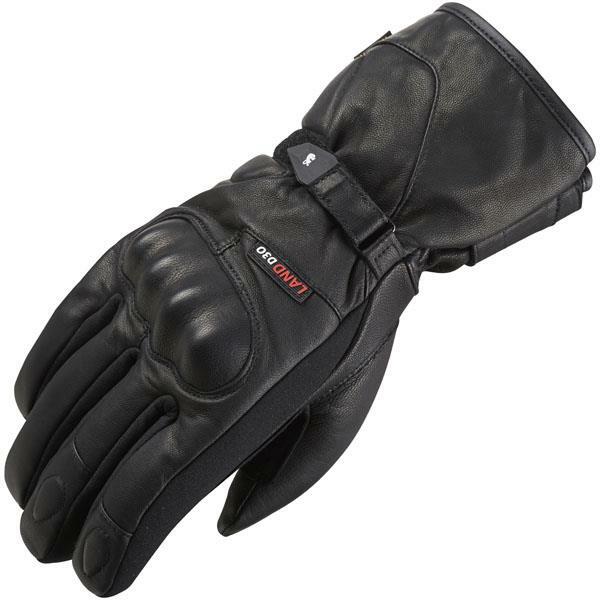 CE-approved glove with D3O soft knuckle armour, a Thinsulate warm lining that has an anti-twist system to keep it in place when you remove the glove, and a waterproof/breathable liner, this glove is up there in the specification stakes. 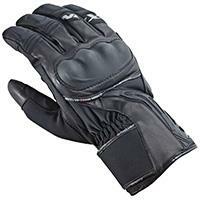 Textile gloves with a reinforced palm and pre-curved fingers for comfort while riding and a waterproof and breathable D-Dry lining. 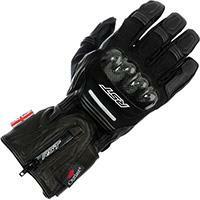 There are plastic knuckle protectors and the gloves are approved to the CE safety standard. Leather and textile gloves with a double layer of leather on the palms and carbon-fibre knuckle protection. The Hipora breathable waterproof membrane and Outlast thermal lining ensure a high-specification, along with grippy silicon panels on the fingers. 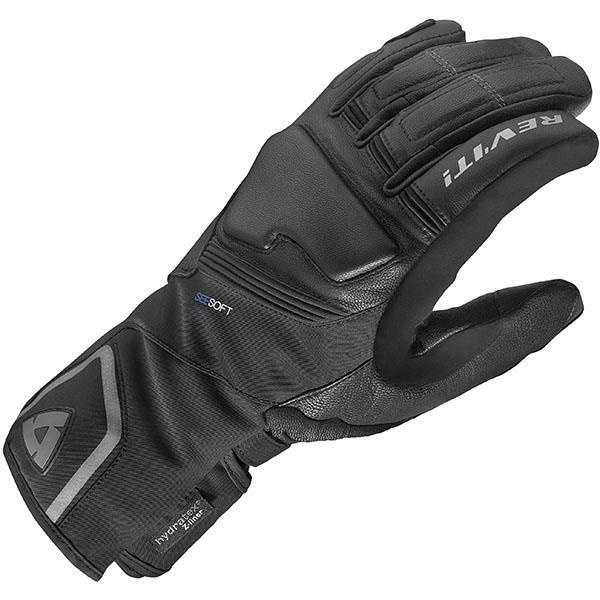 Winter gloves equipped with a Hipora waterproof and breathable membrane and a winter lining, with an aluminium layer covering the back of the hand. The palms are reinforced and there’s an anti-friction slider on the palms. Rev’IT promise much more feel from the Pegasus gloves than from a regular winter glove by using two thicknesses of Thinsulate lining to ensure feel through the palm. There’s soft armour for the knuckles and a Hydratex H2O waterproof and breathable membrane.